The self-assembly of proteins is a major public health issue, but these mechanisms are still poorly understood. Researchers at the Weizmann Institute have advanced in understanding this well-kept secret of the human body, which leads to diseases such as diabetes or Alzheimer's. The functions of the human body are ensured by molecules of great size and complexity, called proteins. For example, the storage of oxygen in our blood is provided by hemoglobin, a protein. The structure and the dynamics of these proteins are absolutely essential for the good functioning of our organism, which, in contact with the outside world, undergoes many mutations. In a large majority of cases, they are either benign or temporary, because our body manages to destroy these mutations. But it happens that a mutation survives our myriad of systems of defense of the body and settles. In the case of Alzheimer's disease, mutated proteins begin to aggregate and cause the symptoms we know. 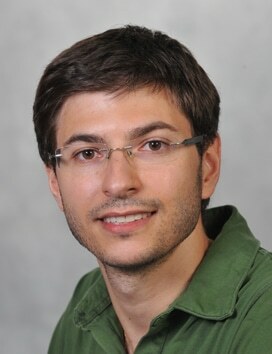 Dr. Emmanuel Levy and his team were interested in the ability of self-assembly proteins between them. Inspired by the hemoglobin protein, known for its ability to self-assemble in the genetic sickle cell disease, they tried to understand the criteria for self-assembly of proteins. They show the importance of interfacial symmetry: if, in addition to its symmetry capabilities, the protein has groups that are prone to form a bond, the proteins will begin to form longer and longer filaments, as the assembly. Consider the two examples mentioned above - sickle cell disease and Alzheimer's disease. In the first case, hemoglobin proteins can assemble naturally without changing shape for self-assembly. In the case of Alzheimer's disease, proteins must change their shape, which requires time and energy, which partly explains the slow evolution of the disease. 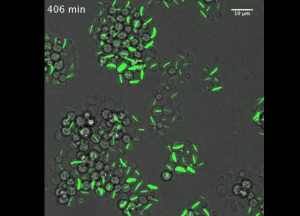 In their experiments, the researchers made a protein composed of eight identical units. By this property, the mutation of a gene produces eight identical mutations in each of the units of the protein. After multiple trials, they finally found a single mutation that created large filaments, adding hydrophobic amino acids to the surface (ie, they do not like water). Wanting to continue their studies in a larger context, they selected eleven symmetrical proteins and created seventy-three different mutations in each of them. This titanic work shows that, in thirty cases, mutations allow proteins to self-assemble. In half of the cases, the proteins are assembled in filaments, in the other half, they form amorphous lumps. If these mutations are so easy to produce, why are they so rare in nature? Researchers observe that, in general, proteins with high symmetry have hydrophilic amino acids at their surface, which limits inter-protein interactions. In fact, the hydrophilic nature 'attracts' the water molecules, thus limiting the interactions with other proteins. These researchers are part of a larger community that is trying to understand protein self-assembly, which is a major public health issue for diseases like Alzheimer's or diabetes. This research also advances the understanding and control of the nano world in its entirety, that is to say a world 100 times smaller than the smallest of grains of sand.